Public sector cuts since the financial crash of 2008 have placed a real strain on emergency services. The Fire Brigades Union has lost 20 per cent of its funding and there are 10,000 fewer firefighter jobs since 2010, while the police in England and Wales has 18,000 fewer officers now compared with in 2010. As a consequence of reducing budgets, IT teams in these sectors have been forced to retain legacy technology in a bid to reduce costs, often keeping old systems functioning and integrating mixed estates. These bigger challenges to the emergency services inevitably impact on the operations of their critical control rooms. For example, police control rooms have felt the effects of forces’ budgets dropping by as much as 20 per cent in the five years between 2010 and 2015*, despite the evolving threat of cyber attacks and an increase in 101 calls. In response to these challenges – that is, restrained budgets and increasing demand – the emergency services have started working smarter by taking advantage of the latest technology, enabling effective and efficient service delivery. One example is APD’s creation of cloud-based control room solutions that are flexible, scalable and, most importantly, don’t require large capital investments. APD Communications is at the forefront of creating this cloud-based solution. APD Communications develops critical control room and location technologies that enable emergency services to communicate more efficiently in 999 situations. Over 57 per cent of UK police forces already use its control room technology and ten forces use its cloud technology. Two years ago, the company began a journey in reducing proprietary hardware in favour of open-standards software, and in 2016 APD launched the world’s first hosted control room solution in Sweden. This innovation was crucial in preparing for the new Emergency Services Network (ESN); a 4G mobile network that the emergency services will use to replace the costly Airwave TETRA network. The company has gone on to develop its fully hosted control room solution, a cloud-based data and communications platform that offers benefits including cost savings, greater flexibility and improved security. Based on a subscription model, the hosted control room is a flexible solution with a monthly licence for each user in the control room. 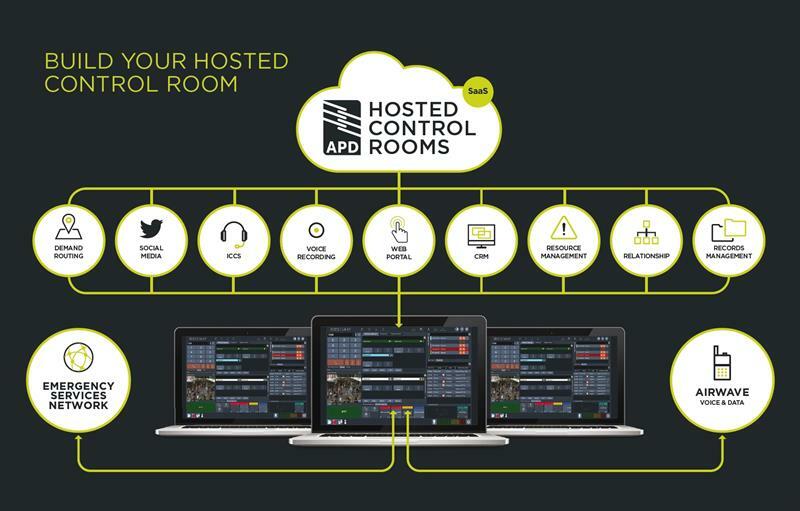 Charged per user, per month with no additional costs for upgrades or support, the hosted control room allows organisations to economise their on-premise equipment and only pay for what they need. The benefits of cloud-based services are not only financial. With hosted control solutions, the headache that comes with upgrades are a thing of the past. Managed in the cloud, upgrades are seamlessly rolled out to the control room without any downtime. There’s also unrivalled security and reliability thanks to UK Cloud, a dedicated cloud-provider to the UK Public Sector that ensure APD’s solutions are optimised for OFFICIAL and fully aligned to the 13 NCSC Cloud Security Principles. Why do the emergency services want to go hosted? 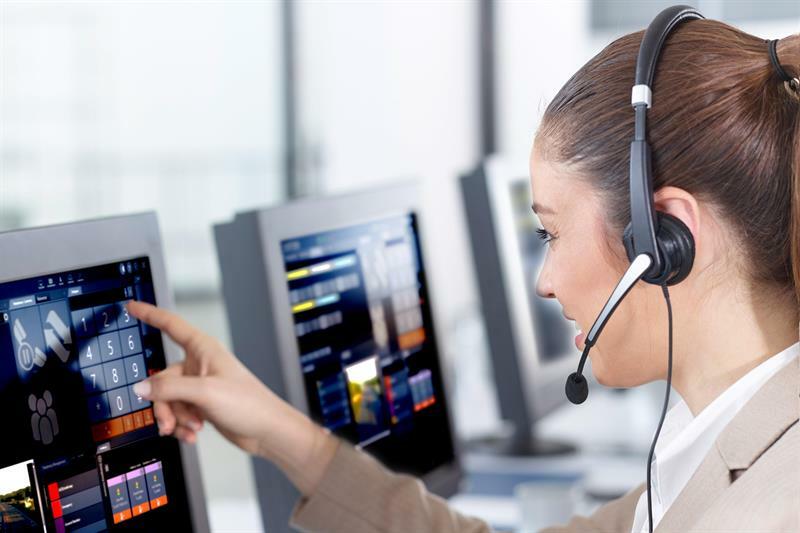 "A hosted control room solution has many benefits for us. First and foremost, it enables us to get access to the latest features and updates with minimal interruption to our local server rooms, as soon as they’re available. “Public safety organisations are now becoming much more comfortable using cloud-based technologies, which I think will free things up considerably. In terms of the feedback we get, the most important thing for them – alongside security – is that the servers are in-country and that they own the data. There has to be a host of disaster recovery plans in place as well.